Embattled Democratic presidential candidate Hillary Clinton refused to directly apologize for 'Emailgate' on Friday as the controversy over her use of a private email server during her secretary of state tenure swells. In an interview with NBC News/MSNBC's Andrea Mitchell, Clinton did apologize for triggering the controversy, which has snowballed into a political maelstrom that is beginning to affect her polling numbers. But the former secretary of state is not so contrite about the decision to use just a private email server while working as a government employee, although Clinton did admit it that it may not been "the best choice." "At the end of the day, I am sorry that this has been confusing to people and has raised a lot of questions, but there are answers to all these questions," Clinton told Mitchell. "And I take responsibility." Mitchell pressed Clinton on the decision to use her personal email server, which was installed at her home in Chappaqua, N.Y., during her 2008 presidential campaign. Clinton never used a "state.gov" email while she served as secretary of state from 2009 to 2013. The Democratic candidate, who until August had a solid lead over challenger Sen. Bernie Sanders, told Mitchell she just had a habit of using a personal email account, because that's what she predominantly used when she served in the U.S. Senate. 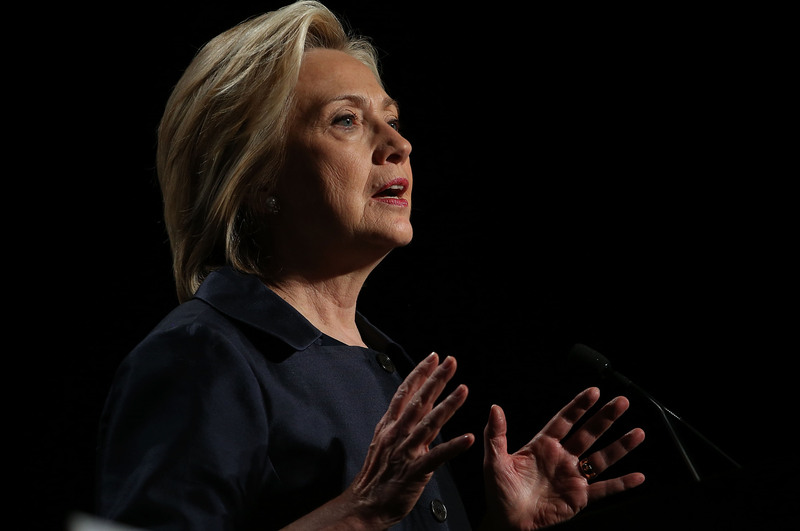 "I did all my business on my personal email," Clinton said. "I was not thinking a lot when I got in [to the State Department]." Clinton insisted that using her personal email during her tenure at the State Department was "fully above board," and that she was cautious when it came to sending and receiving sensitive information. "I sent emails that I thought were work-related to people's dot gov accounts," Clinton told Mitchell. She added that the State Department confirmed that having a personal account was allowed, and that people in the government knew she was using a private email. "But in retrospective, it certainly would have been better ... to have two accounts," Clinton said. "One for personal, and one for work-related [emails]." Yet Clinton is not sorry — not really. Mitchell pressed her several times, seemingly trying to get the former secretary of state to apologize, but Clinton wouldn't back down. "Well, it wasn't the best choice," Clinton reiterated. "I'm doing all I can now to try to be as transparent about what I did have on my work-related emails." "I have gone the extra step and went through all the emails I had from those four years in the State Department to make sure anything ... that could be possibly work-related was made available to the State Department," Clinton said. But are her supporters — or former supporters — buying it? When asked if she's worried about the public's lack of trust, Clinton kept her cool. "Well, it obviously doesn't make me feel good," she told Mitchell. "But I'm confident that ... people will know that what I've been saying is accurate." She said people may disagree with her choice, but her facts haven't changed. "The American people will know that they can trust me when it comes to standing up for them," Clinton said.